Burundi’s president, Pierre Nkurunziza: the only candidate in the 2010 election. EPA / Yannick Tylle. Over the past few weeks the situation in Burundi has quickly deteriorated from the relative but superficial stability which the country has experienced, following the Arusha Peace and Reconciliation Accords of 2000, to the brink of civil war. The downward spiral of events since 26 April, ostensibly caused by the incumbent president’s bid for an unconstitutional third term in office, culminated in a coup attempt led by Major Gen Godefroid Niyombare, a former intelligence chief who was dismissed by the president in February. The coup appears to have been averted after action by forces loyal to the incumbent president, Pierre Nkurunziza, who returned to the country from Tanzania after 24 hours of clashes between military factions in and around the capital, Bujumbura. This may be seen as a major setback in a country which avoided the genocidal escalation of conflict experienced in neighbouring Rwanda in the 1990s—but where there has been at least one major episode of violence in each decade since independence, including a civil war which began in 1993, killed some 300,000 people and was only incrementally brought to an end between 2000 and 2005. The Arusha accords, in fact, proved a major turning point in relations between the traditionally dominant Tutsi minority (which comprises only 14% of the population but controls, among others, the armed forces) and the Hutu majority. Conceived broadly as a political and military power-sharing agreement, they were initially not fully inclusive of all factions in the civil war. But they gradually brought the majority of armed groups into the fold, through a series of additional agreements with the Tutsi-dominated ruling party: CNDD/FDD (Conseil National pour la Défense de la Démocratie / Forces pour la Défense de la Démocratie) and the Palipehutu-FNL, one of the armed factions of the Hutu community. The agreement with Palipehutu-FNL followed the country’s 2005 elections, which were generally seen as marking the beginning of post-conflict state-building and reconstruction. Yet this process has been far from successful. Burundi has the world’s second lowest gross domestic product per capita according to most recent World Bank data. It is the fourth least globalised country, ranking 137 out of 140 countries on the 2014 DHL Global Connectedness Index. Burundi is also the world’s hungriest country, according to the 2014 Global Hunger Index. Moreover, the fragile political stability has been put under increasing pressure, especially since the 2010 election cycle, boycotted by opposition parties on the grounds of alleged corruption in local elections. Nkurunziza was re-elected virtually unopposed with more than 90% of the vote and his party, CNDD-FDD, won 81 of the 106 seats in parliament. Subsequently escalating violence forced several opposition leaders into exile, only to return to the country in 2013. What has thus been at stake over the past five years has been the sustainability of the 2000 peace agreement. The 2015 elections were widely seen as a litmus test for its survival. 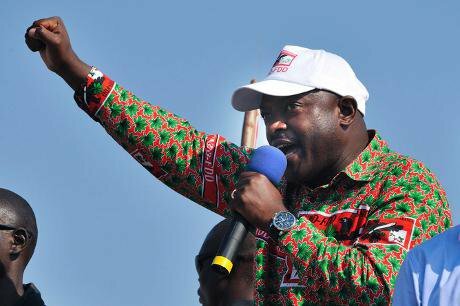 An attempt by Nkurunziza’s CNDD-FDD to pass constitutional amendments that would have given his party full control over the legislative process and removed presidential term limits was narrowly defeated by just one vote in March 2014. But rather than accepting this vote, CNDD-FDD nominated Nkurunziza again for the presidency, arguing that his first term did not 'count' under the two-term limit as he had then been appointed by parliament rather than been popularly elected. Burundi is still struggling to rebuild after the civil war which ran from 1993 to 2005. Kalou Kaka. Creative Commons. The decision was subsequently endorsed by the constitutional court, amid reports the court had been pressed to do so. This triggered the protests which have now brought the country back to the brink of civil war and already resulted in 50,000 refugees. Adding to this dire domestic situation, Burundi exists in an extremely unstable and conflict-prone neighbourhood, wedged among Tanzania in the east, Rwanda in the north and the Democratic Republic of Congo (DRC) in the west. With the latter two, in particular, Burundi has been locked into a regional conflict zone, with transnational armed groups fighting protracted civil and proxy wars for decades. These have also been fuelled by ethnic divisions and rival governments in neighbouring countries, prolonged by relatively easy access to lootable and lucrative commodities. They have been exacerbated by competing local and national elites in a context in which exclusion from political power is equivalent to exclusion from virtually every other meaningful opportunity. This unstable and volatile regional environment has created the space for various militia groups to receive training and support in neighbouring countries. In particular, the youth wing of the ruling CNDD-FDD party, the Imbonerakure, seems to have benefited from training by Hutu groups in the neighbouring DRC who are aligned with, and comprise, Rwanda’s notorious genocidal Interahamwe. Also known as the Democratic Forces for the Liberation of Rwanda (FDLR), these forces have, in turn, enjoyed some support in the past from the Burundi government. The front lines in the current violence in Burundi, however, are not (yet) clear-cut along ethnic lines. 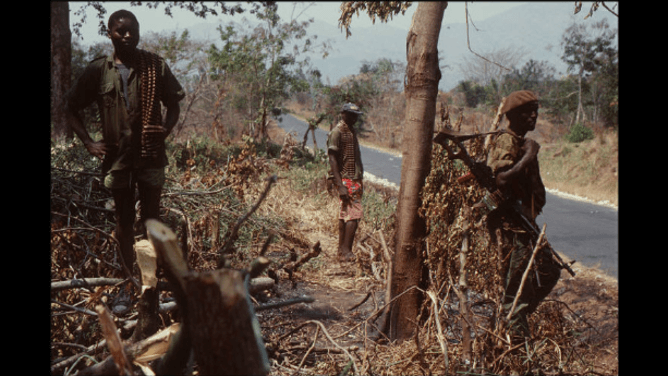 The coup attempt was supported by both Hutu and Tutsi military units, while the president was defended primarily by Hutu troops under the leadership of the Hutu chief of the general staff, General Prime Niyongabo. The opposition, too, mostly united in the Democratic Alliance for Change (ADC-Ikibiri), comprises members of all ethnic groups: Hutu, Tutsi, and Twa. But there is a danger that the scapegoating of minority Tutsi could escalate into the kind of inter-ethnic violence. This Burundi has experienced for decades and it remains common across the region and eerily reminiscent of the Rwandan genocide two decades ago. The warning signs of the crisis have been apparent for some time. Any escalation could lead to yet another civil war and is in danger of further destabilising the entire region. The president and his supporters may have defeated the coup. But, if anything, the events over the past days and weeks have exposed the deep rifts in Burundian society which will take more than arms to fix.